Commentary: Say Her Name, Justice for Nia Wilson | Fight Back! 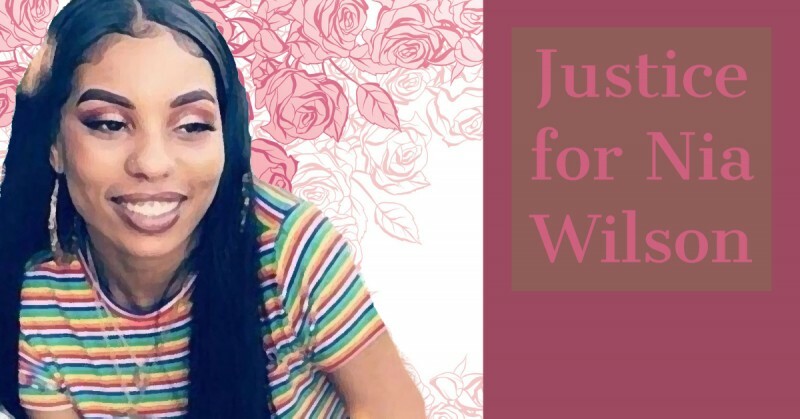 Tallahassee, FL - Last weekend, Nia Wilson, an 18-year-old African American woman was brutally murdered by a white man, John Lee Cowell, in an Oakland, California Bay Area Rapid Transit station. Cowell also stabbed Nia’s sister, Malika Harris, who has been released from the hospital. Cases like this are not unfamiliar to Black women. Black women face disproportionate levels of violence in every avenue. According to the Violence Policy Center, in 2000, Black women were murdered at a rate more than three times higher than white women. Not only do Black women face domestic violence at higher levels compared to other nationalities, but they are often the victims of police crimes - in which the media continually downplays or outright ignores Black women who have been sexually assaulted or killed by the police. For instance, we can examine cases like former police officer Daniel Holtzclaw, who raped 13 Black women in Oklahoma. Recently, Cynthia Clements was fatally shot by a white police Lieutenant Christian Jensen in Elgin, Illinois. Furthermore, this year alone in Florida, four Black trans women have been killed, with the killers still on the loose. Even in death, Black trans women, like Sasha Garden, continue to be misgendered and humiliated by the police and the media. The media always finds ways to portray Black women in a negative light, again, even in death. Some news outlets have run pictures of Nia Wilson posing with a handgun. This is completely irrelevant, as owning a handgun is a legal right and Nia was not even armed. Since the founding of the United States, Black women have been brutalized and killed to maintain the white supremacist and capitalist power structure. We must demand that John Lee Cowell be prosecuted to the fullest extent of the law. Demand that all cops guilty of police crimes, including those against Black women, be arrested and jailed. Demand full and equal rights. We say her name - Nia Wilson, for all Black women who can no longer speak.